Hello and welcome to the 8th installment of the SWD. TFSA made new advances against IS in the city of Al-Bab taking control of engineering school, al-Kaf roundabout, Zamzam mosque, a sports club, and a square between Salam-Sharqiyah districts. It is yet to be seen if this the real push to clear Al-Bab or just taking better positions for a final assault. Heavy clashes broke out between SAA and HTS in W. Aleppo countryside when former tried to advance west of Al-Assad suburb. Pro-rebel sources claim attack was repelled in Al-Rashidin-Suq Al-Gibs areas, while pro-government sources claim advances near Al-Soura checkpoint and claim control / fire control over Raqqa bridge. Reports of clashes and shelling between TFSA and SDF on Azaz and Awn Dadat fronts, north of Manbij. New unconfirmed reports that SDF in Efrin captured Maarin village near Bab al-Salameh bordering crossing from the TFSA. 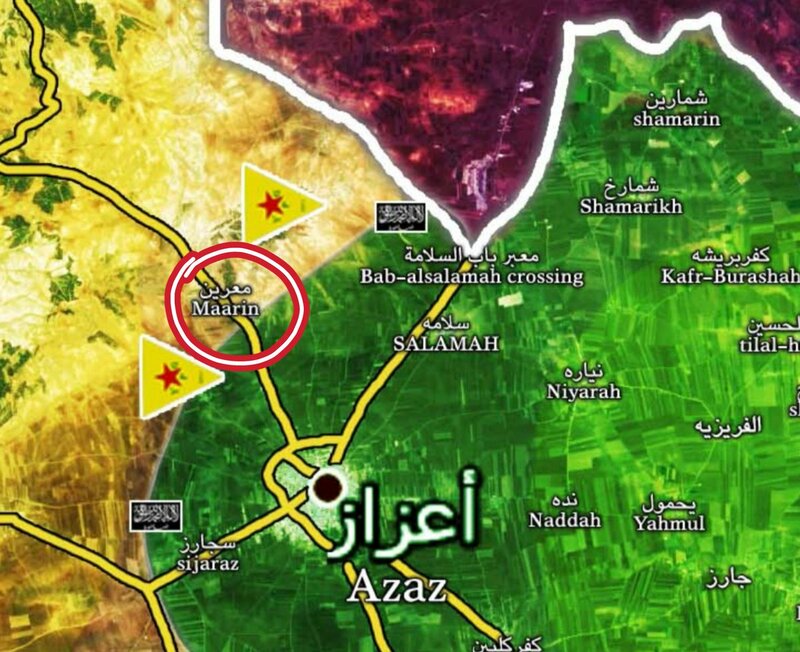 However, some are claiming that Maarin is controlled by SDF for almost a year now. SDF has cut Raqqa-Muqman road after capturing Tal Shaer from IS, other villages captured are; Sabah al-Khayr, al-Ferar, Kassar and Terfawiyah with IS militants besieged in Bir Furat and Mokha. 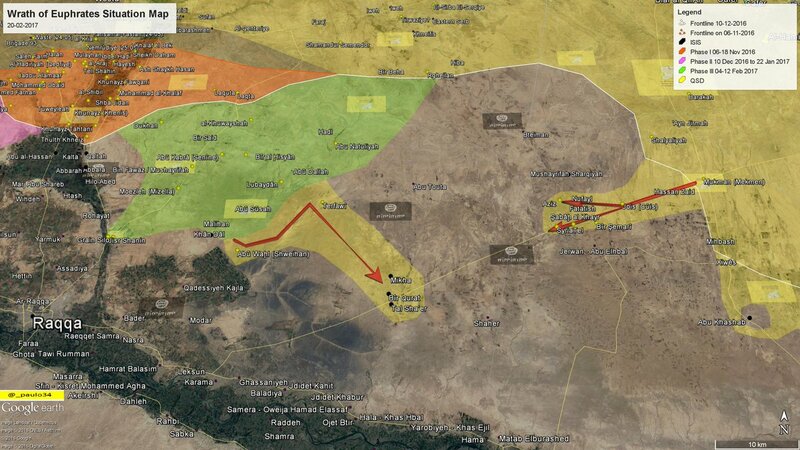 It appears that SDF is going to try and make yet another pocket and force IS to withdraw or face getting besieged. Evacuation of Serghaya and Rankous barrens is expected to take place tomorrow, 8 buses with militants & their families will leave for Idlib and Serghaya will officially reconcile. With Serghaya and Rankous barrens gone the only territories left under the control of militants in the region are Zabadani and Madaya. Relevant to Damascus area, clashes occurred today near Qaboun and Harasta road between government and militants. Affiliate of IS, Jaysh Khalid bin Walid launched this morning a surprise attack in SW Daraa countryside against rebel forces in the area. Attack was fruitful resulting in JKW capturing villages & towns of Sham al Jawlan, Tasil, Adwan, Kafr Tamir, Jallayn, Al Ashari and Zayzun. Same offensive was carried out by JKW last year, but they were unable to hold any of the territory and were gradually pushed back to their core region. Rebels in the south launched counter-offensive on the JKW pocket, making insignificant gains until offensive was slowly abandoned. However, this time JKW saw a better opportunity than last year’s with rebels being occupied with an offensive of their own. Rebels are now presented with a choice, stop offensive against government and crush JKW once again or let them run wild in Daraa’s countryside and spiral out of control just for the sake of fighting government. JKW‘s attack on the village of Hayt was repelled and resulted in at least 5 casualties and reportedly loss of a tank. Rebels reportedly retook village of Jallayn and Tell Ashtara. Some reports that JKW is withdrawing from the villages they captured after taking supplies from local stores. Operation for liberation of western Mosul continues, with stage 1 of phase 3 completed after Iraqi army reached outskirts of Mosul international airport. Army also captured village of Albu Sayf south from airport, with clashes still around Al-Ghazlani military base, major IS stronghold. More reinforcements are arriving as the battle is moving towards the city itself. Separately, raid by US special forces & Peshmerga reportedly took place in Mosul killing IS health minister and 30 other fighters. 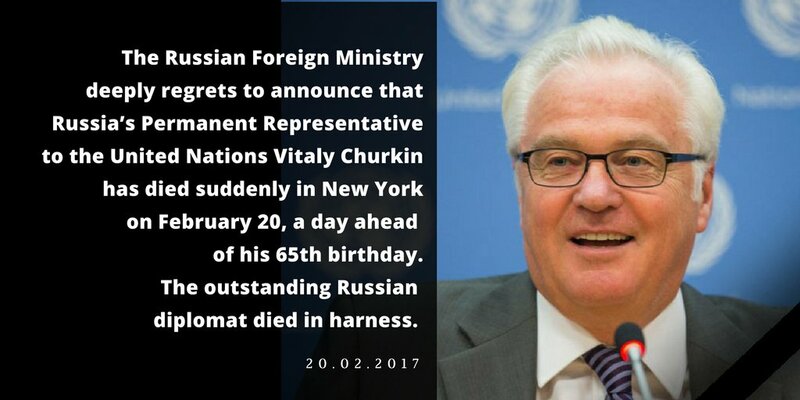 Russia’s permanent representative to the United Nations, Vitaly Churkin has passed away, just a day before his 65th birthday. He was Russia’s permanent representative since 2006. Churkin fell ill in his office and was taken to Columbia Presbyterian Hospital where he died today, the cause of death is still unknown. On the 19th of February 2017 CJTF-OIR has conducted 26 strikes in Syria . 20 of the 26 strikes were concentrated on Deir-al Zour and Raqqa where they destroyed destroyed eight oil wellheads, a weapons cache, a fighting position, an oil pump jack and four oil storage tanks, three fighting positions, two ISIS-held buildings, two vehicles, a weapons cache, an oil refinement still and a communications station, respectively. Other areas where strikes occurred include Abu Kamal and Al-Bab destroying two vehicles, communications tower, a fighting position & a vehicle, respectively. Full report on CJTF-OIR strikes conducted in both Syria & Iraq can be found here.